For those who are adventurous and want to have the time of their life during their vacations, Africa is the perfect place to visit. Africa has everything for the outdoor fan. But a visit to Africa is not only about the much talked about safaris. You can go further than that with even more fun and adventure. 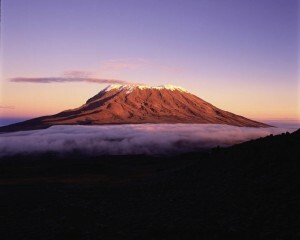 You can book a climb Mount Kilimanjaro with us. It is the tallest mountain in the whole continent at 19340 feet above sea level and it is also the world’s highest free falling mountain and is located in Tanzania! What is wonderful about this mountain is that it has within it all the five major eco zones: heath, rainforest, glacier, moor land and alpine desert. Imagine going to a mountain where you can experience all of this at the same time! It even has 3 volcanoes which you may visit during your climb there. For the adventurer in you, this is the mountain climb of a lifetime. What makes this mountain climb more memorable is that you can bring along your children with you (above age 12, that is the limit set by the Kilimanjaro Park authorities). The whole family can have an adventure together, one that they will talk about for the rest of their lives. The children can also enjoy the safari trip incorporated with this climb. You need not leave them at the camp but instead let them have an experience that they will learn from and remember.